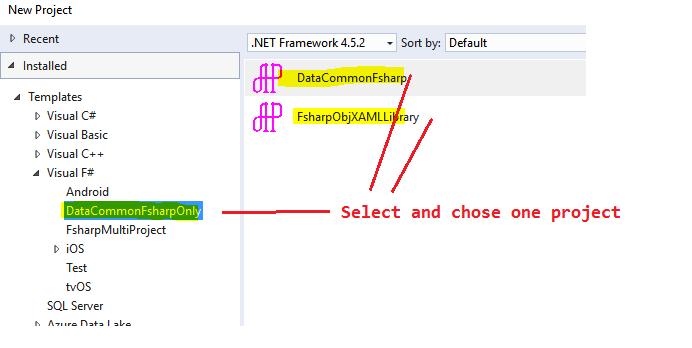 How to Access to DataBase by System.Data.Common. One application/edit – ALL DataBase. Run application … choose a provider (ComboBox includes all providers which installed on your PC). 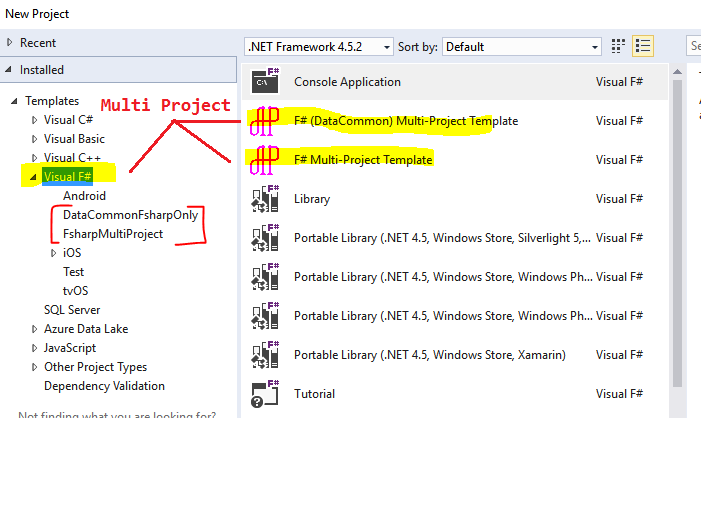 Select - "Visual F#" and choose a multi-project template (if you choose subfolder** [..] **it create just one project, see below).